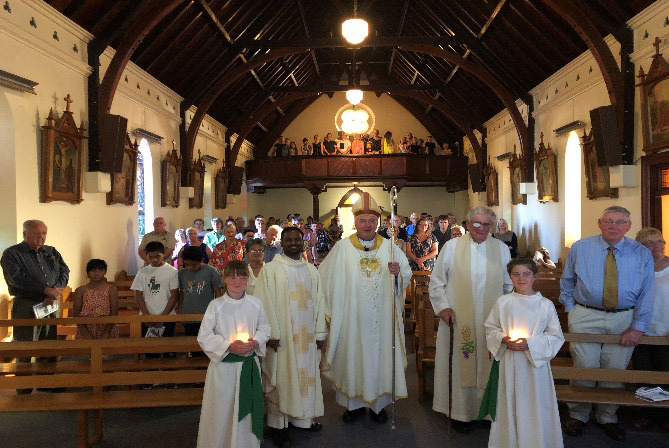 On November 3, Our Lady of Mercy Parish and Trinity Catholic School celebrated a beautiful mass at St Mary’s Church for the Sesquicentenary (150th anniversary) of the Church. 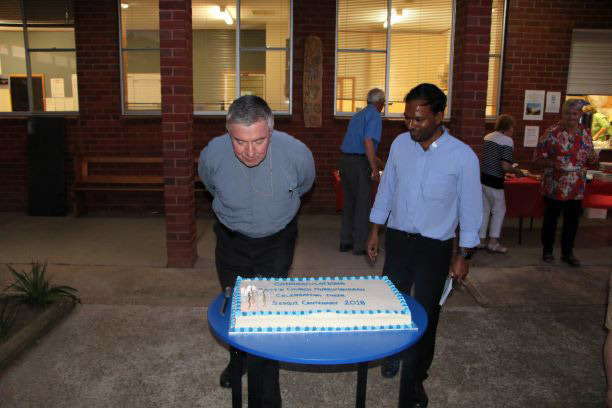 Archbishop Christopher Prowse officiated this significant milestone with the Parish Priest Joshy and Father Kevin Barry-Cotter former parish Priest. Many parishioners and visitors took time to peruse the chronology of history titled ‘A Walk Through Time’, which was displayed in the church foyer. This sparked many a memory and conversation. 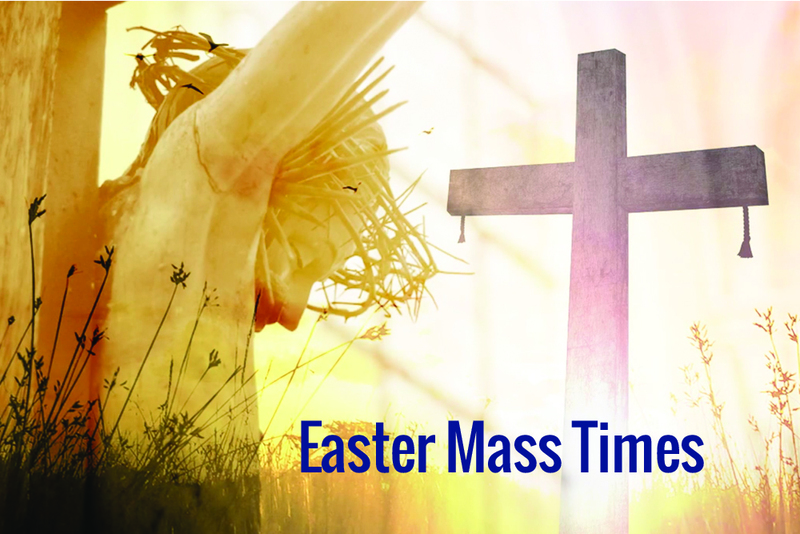 Trinity Catholic school choir led the singing throughout the mass and must be commended for their reverence and amazing singing which was appreciated by all. 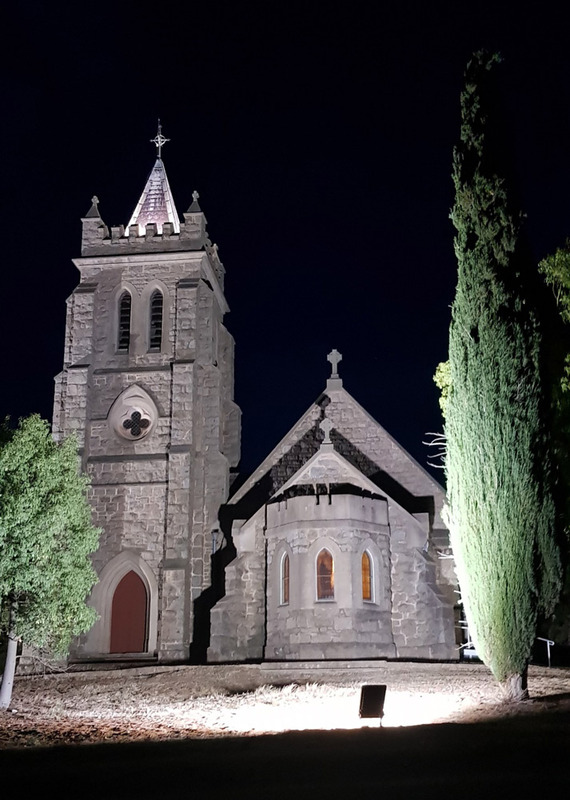 It was the first time in many years that the choir were able to again use the ‘Choir Loft’ as it was re-opened for the occasion and will continue to be maintained for future celebrations. 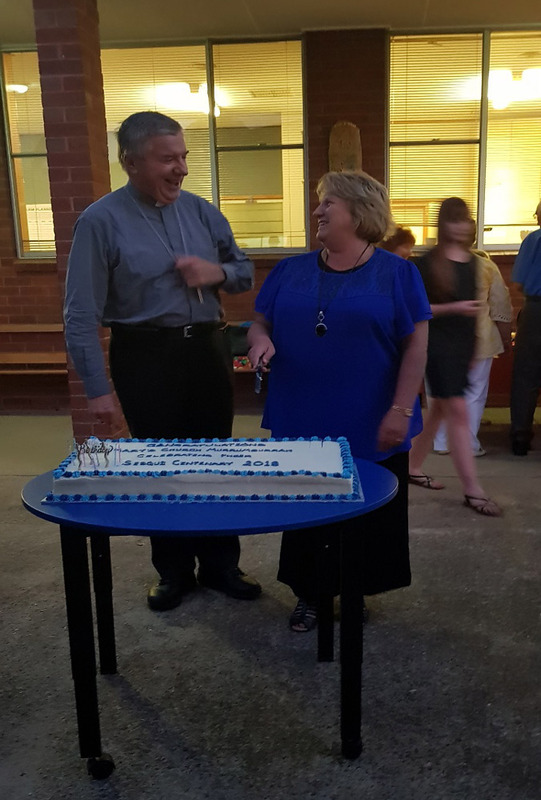 A number of people stayed to enjoy a BBQ and celebratory cake to complete what was a wonderful night of celebrations for our Church and Parish. 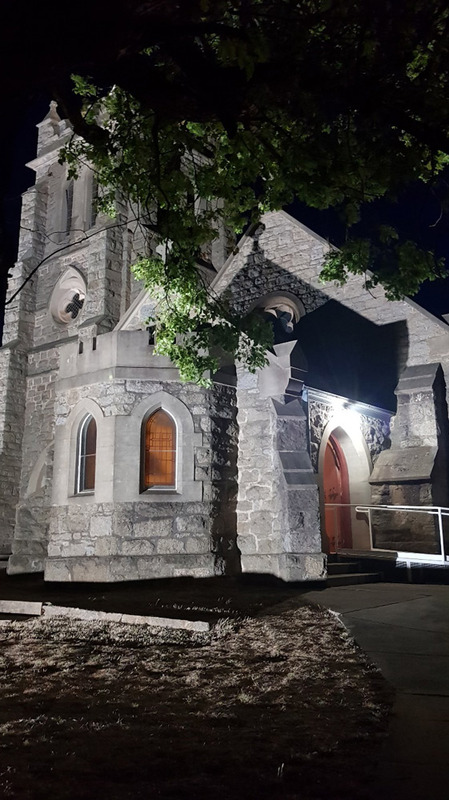 The subject of illuminating St. Mary’s Church for this special milestone became a reality due to the dedication and commitment of a group of talented parishioners and community members. 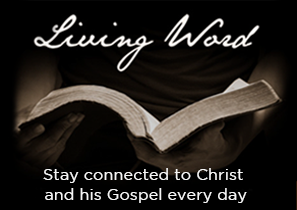 The Church was ablaze with light for the occasion and will remain illuminated permanently. 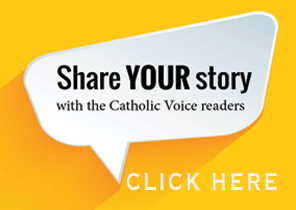 This is certainly ‘the talk of the town’ from locals and visitors alike and is well worth viewing. Thanks must go to all those who were in any way involved in the Sesquicentenary celebrations this year.